Maclaren Quest Stroller is a light weight umbrella stroller which is very easy to handle & it is specially made for infants or children up to 55lbs.it has one hand four recline positions & extendable leg rest for extra safety for infants, it has a smart look & many features which are required for a safe ride. 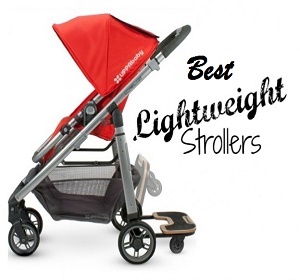 Because of the light weight, you can carry it with you anywhere & it is not an all terrain stroller but suitable for daily use or can run on some rough surface. Lets dig more into this Maclaren Quest Stroller Review. 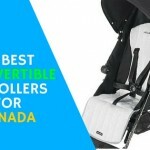 It rolls on four 6” foam filled tires, this Maclaren Quest Stroller is easy to handle & you can easily move it with one hand even into narrow space. Foot brake is located between the rear wheels which are flip flop friendly & easy, it helps to control the speed of the stroller. 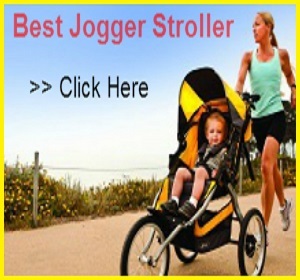 It is useful for a daily ride like a park, mall, city walk etc, though it’s not an all terrain stroller it does perform well on some sort of uneven surface, mulch, grass etc. The Maclaren Quest stroller comes with rear wheel suspension which absorbs any shock experienced on an uneven surface. 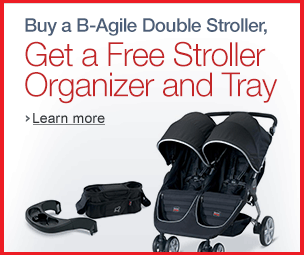 This feature ensures that the stroller rides smoothly. “Maclaren Quest Stroller” has a large water proof canopy and is rated for UPF+50 which blocks harmful UV rays.It will protect your baby from harsh weather by giving full coverage. The seat is ultra padded & soft, your baby will feel extreme comfort while on the ride, you can recline the seat with four positions including a flat one which is really good for infants especially when they are sleeping. 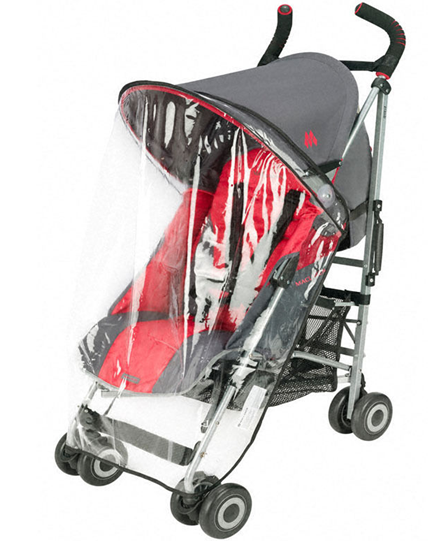 A rain cover is also included with the “Maclaren Quest stroller” to provide your child with maximum protection when it rains. There is one pee-ka-boo window through which you can see your baby’s activities. 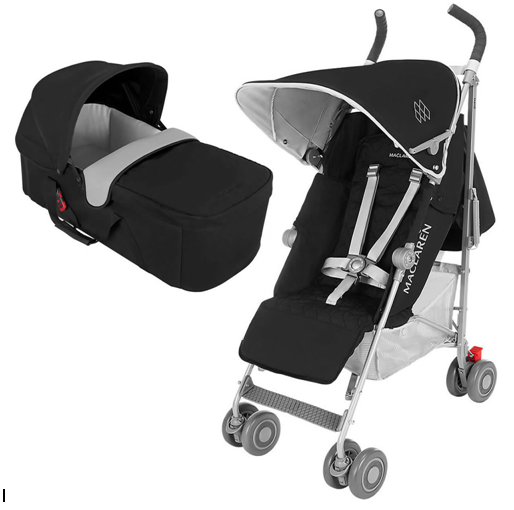 It has five point harness system with easy to lock central buckle, it will hold your baby tight & safe. The adjustable leg rest on for this Maclaren Quest Stroller allows your child to be fully comfortable in the stroller; your child will be able to stretch out their legs. 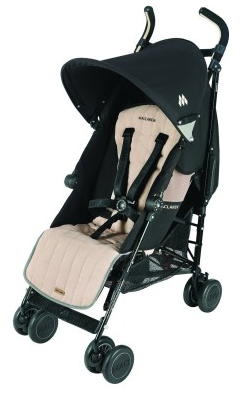 The unique & different feature of this Maclaren Quest Stroller is it has protective head and foot barrier that safely cocoons newborn babies. For easy transportation, Maclaren has to carry handle and shoulder strap which makes your life easier with your baby & his/her stroller. The fold is very easy; you can do with one hand only, it becomes very compact after fold you can keep it at any of the corners of your house. It also has an automatic lock which keeps the stroller in place when folded. 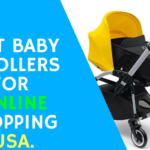 It has large storage basket with 1,037 cubic inches in which you can put a large diaper bags or you can do grocery shopping with this stroller. There is one pocket is situated on the back side of the canopy; you can put some small essentials into it like a key, wallets, cell phone etc. The seat is removable & machine washable which is very easy to clean & maintain. The seat fabric is really soft; it’s very safe for the sensitive skin of children. The frame of the Maclaren Quest Stroller is made of aluminum. You can use cup holders, travel bag, seat liner etc. 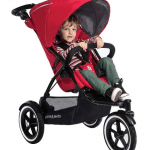 The “Maclaren Quest stroller review” comes in several different color options: cream & black, off white & black, red & cream, blue & green, all frames come in black & silver color. 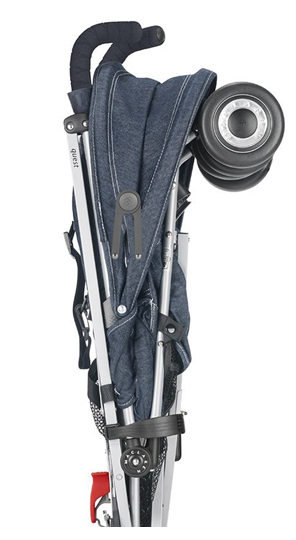 This is a nice umbrella stroller to buy, it’s a compact & light weight stroller which easy to handle & recline. 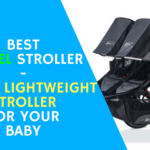 This stroller comes with some nice features, this Maclaren Quest Stroller Review certainly provides your child the maximum comfort. 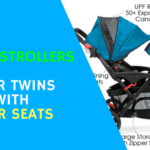 This is specially designed for infants which are really safe & comfortable, so make your child’s ride happy & joy full with “Maclaren Quest stroller”.